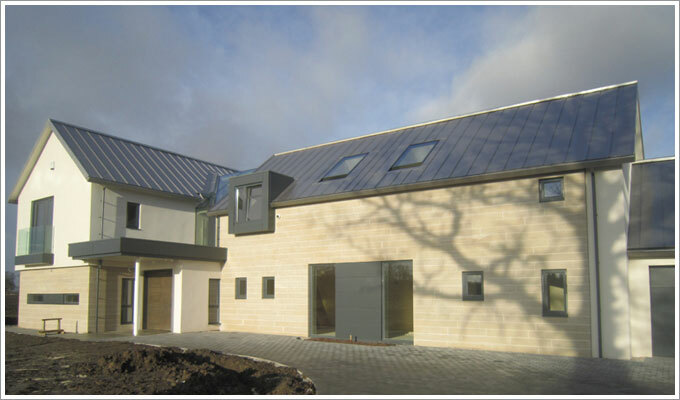 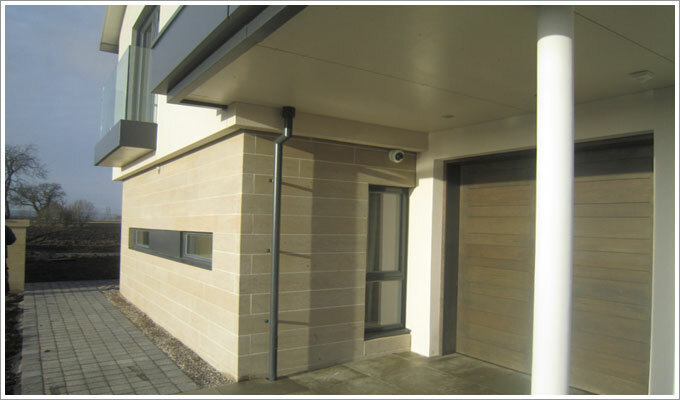 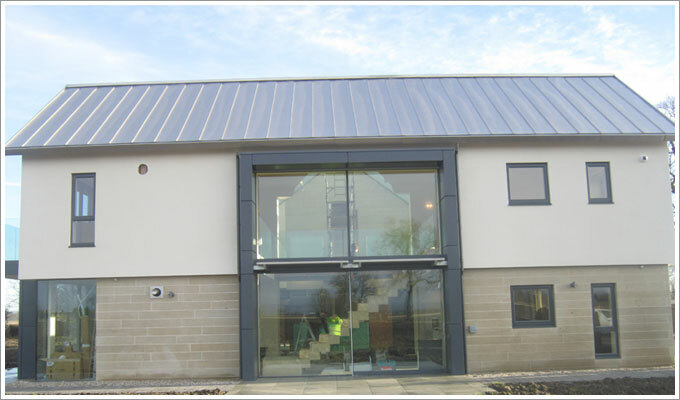 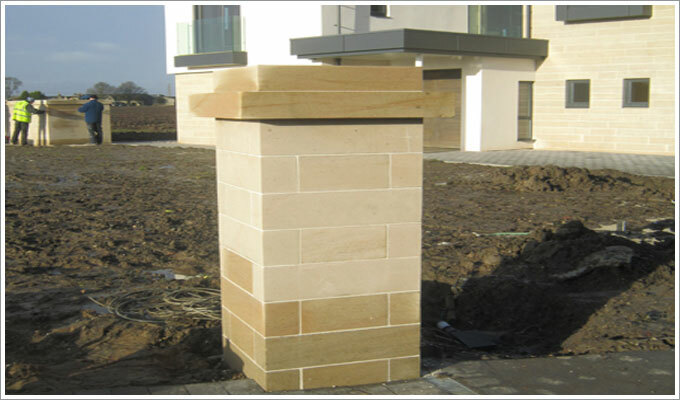 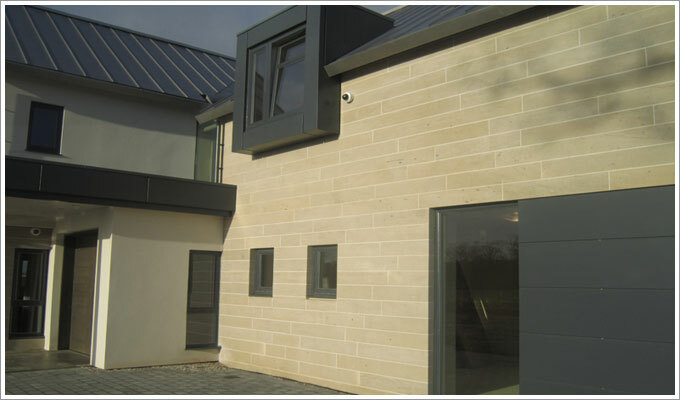 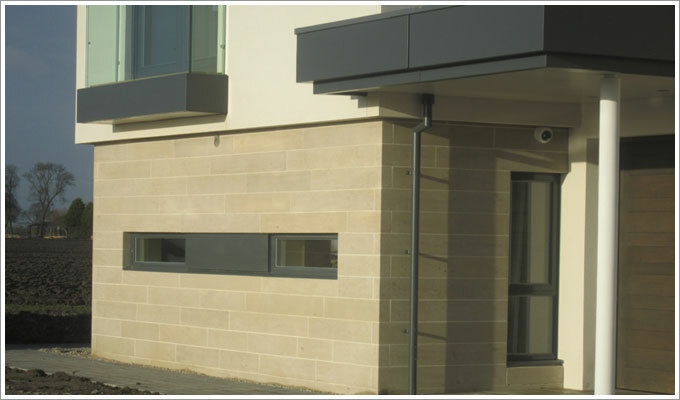 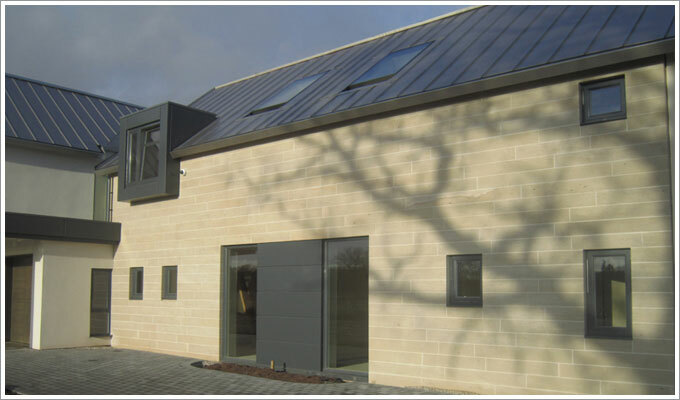 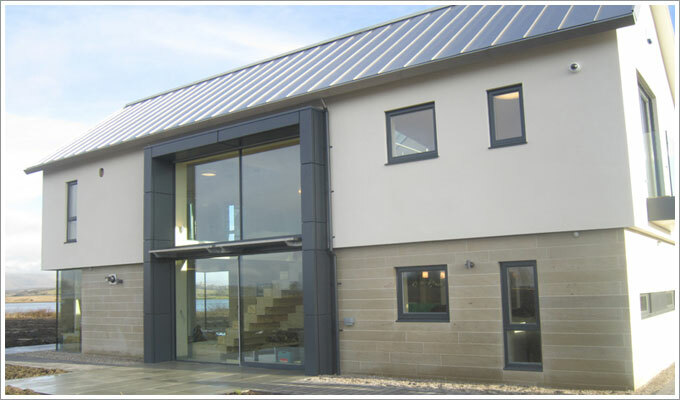 This was a straightforward stone ashlar cladding to a timber kit. 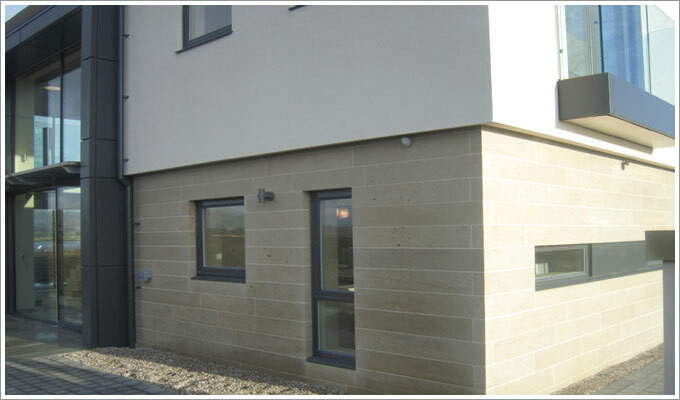 The stone type was Banktop and it was built with a pre specification lime mortar. 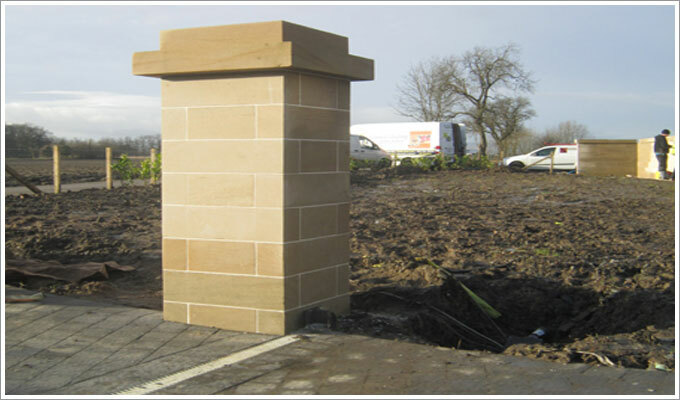 Boundary Wall and Gate Butts were included in the stonework package.